Ex-Prime Minister Tony Blair was questioned on Tuesday by a House of Commons committee on his role in sending letters to scores of fugitive IRA members, informing them they were no longer being pursued by police. The On the Runs (OTRs) scheme, which began in 1999, was orchestrated to inform republican fugitives they were no longer wanted by prosecutors. 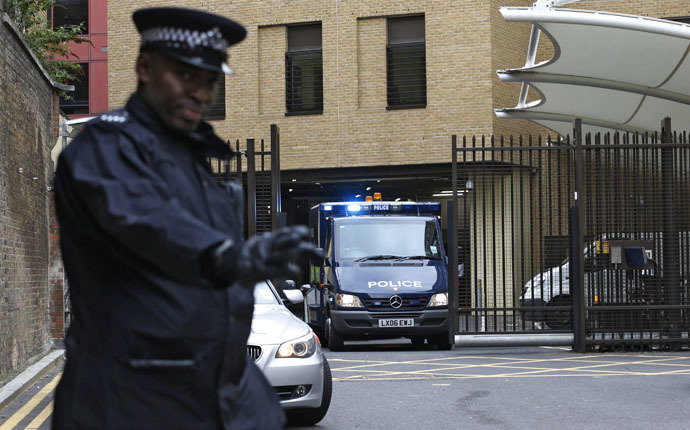 Under the policy, letters were dispatched to over 200 paramilitary suspects. The Committee probed the ex-prime minister on the origins of the OTRs scheme, its overall purpose and its intended effect. Blair told the Committee the fragile Northern Irish peace process was in danger of collapsing without his administration's On the Runs program. The existence of the so-called “comfort letters” became public when the prosecution of John Downey was halted because he had received a letter saying he was no longer wanted by prosecutors. Downey stood accused of murdering four British soldiers in a Hyde Park bombing in Central London in 1982. When he gave evidence of the letter he had been issued, his trial collapsed. 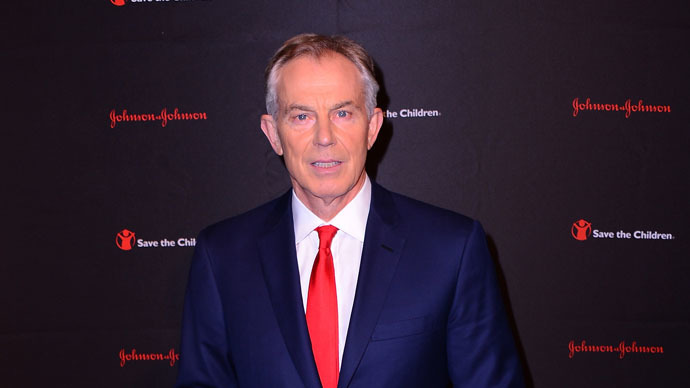 Blair acknowledged on Tuesday that John Downey should never have received a comfort letter. The ex-prime minister admitted he should have ensured a policy was in place to prevent the error relating to Downey. But he defended the wider On the Runs policy he presided over. The House of Commons Northern Ireland Affairs Committee had been trying to question Blair for almost nine months prior to Tuesday’s hearing. Blair repeatedly failed to accept the Committee’s invitations, and even refused to offer evidence via video link. Eventually, the Committee was forced to take the rare step of formally summoning the former Labour leader for questioning. Who were the “On The Runs”? Under the terms of the Good Friday Agreement, republicans convicted of paramilitary crimes were released early from prison. The Good Friday Agreement, brokered in 1998 between the British government, the Irish government and eight Northern Irish political parties, was a landmark moment in the Northern Irish peace process that brought an end to 30 years of conflict in the region. The Blair administration’s OTR policy did not apply to those who were convicted of a crime but managed to escape – or those who were suspected of committing paramilitary offenses but had never been charged. In 2000, Blair requested that Sinn Fein leader Gerry Adams submit names to be considered by Britain’s Attorney General, Director of Public Prosecution and police under the OTRs scheme. The Attorney General warned in 2002 the secret policy could not become an amnesty. Typically, an amnesty is a pardon extended by a government, which offers immunity to individuals by obliterating any legal repercussions of an offense committed. Amnesties can only be granted in Britain by the Crown or by a designated Act of Parliament. In 2007, the Police Service of Northern Ireland (PSNI) began the process of reviewing the cases of paramilitary suspects wanted in connection with terror offences to discern if there were reasonable grounds for conviction. Peter Hain,Northern Ireland Secretary at the time, requested that the scheme remain secret. Of the 288 names that were considered, 156 individuals received a so-called “letter of comfort” informing them they were not being sought for prosecution. An additional 31 were informed in another manner they were not wanted by police. Deputy Chief Constable of the PSNI, Drew Harris, informed the Northern Ireland Select Committee that 100 of those who had received the letters are suspects in 300 homicide cases. After the OTRs scheme came to light, Northern Ireland’s First Minister, Peter Robinson, said he would resign over the issue. In response, Cameron announced an official inquiry. Lady Justice Hallet, who presided over the probe, concluded the comfort letters were not an amnesty, and were therefore lawful. Hallet did find, however, “significant systemic failures” in how the OTRs scheme operated. She also described Downey’s letter as a “catastrophic” blunder by the PSNI. Blair’s eventual agreement to appear before the committee was reportedly secured by a phone call from House of Commons Speaker John Bercow. It is understood Bercow strongly urged the ex-prime minister to offer evidence, and warned a refusal to do so would be interpreted in a negative light by parliament. When a spokesperson for Blair told the committee the following day the ex-prime minister would offer evidence, the development was deemed to be a victory for parliamentary scrutiny. He cautioned the government must “be careful” in light of its lingering fragility. Blair concluded he did not believe there was a “big issue” with informing IRA suspects they were not wanted by prosecutors because such an avenue was lawful.